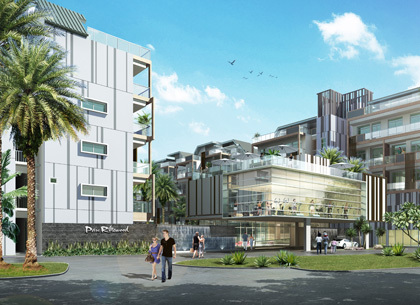 Singapore’s first-ever retirement resort, The Hillford is conceptualised to celebrate the new exciting phase of life; where life is never mundane, but meaningful and fulfilling. 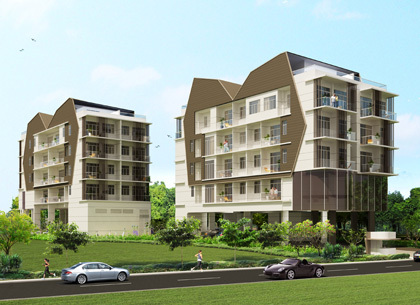 Nestled in the coveted district of Bukit Timah in the vicinity of prestigious landed enclave, The Hillford affords residents with a full spectrum of amenities within and around the development; so residents can lead an active and independent retirement life. The resort’s excellent locale puts it in close proximity of the upcoming Beauty World MRT station; while major expressways nearby offer quick access to every part of Singapore. 8 Bassein is designed for professionals, a truly new inspiring space that redefines the concept of ‘Work, Live and Play’. Just the place for those who desire a SOHO and cosmopolitan lifestyle. Nestled in upscale Novena at district 11, 8 Bassein is close to the CBD and Orchard Road, yet far enough to escape the hustle of the city. Exuding an air of exclusivity and prestige, 8 Bassein boasts the perfect living space for an ambitious lifestyle that balances work and home. An imminent freehold condominium encircled by a wide spectrum of amenities – supermarkets, F&B outlets, banks, shopping malls, plenty of culinary delights and connectivity to PIE and CTE ¬– switching between business and play is as easy as 1,2,3. 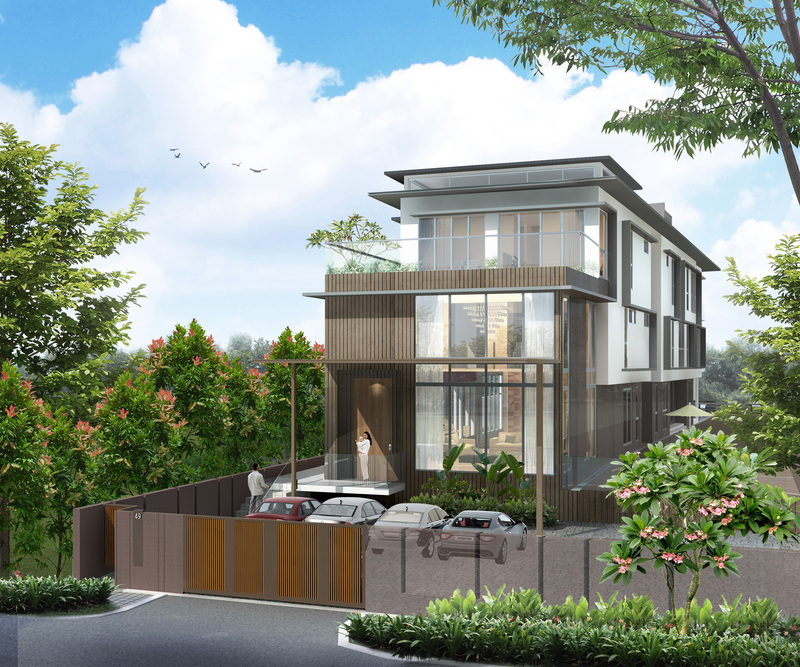 Located in one of the most sought after residential site, the detached house is just a short walk to the Kembangan MRT station and main road bus stop. This bus stop along Sim Avenue East is only a mere 5 mins walk where bus services from City, Clementi, Ang Mo Kio, Toa Payoh and Boon Lay ply along. One of the services offer a direct single trip from NUS Campus to this bus stop. Amenities like shopping centres, eateries, parks, and communal centres are just within easy reach, which provide utmost convenience for the family and yet away from the din of the traffic. 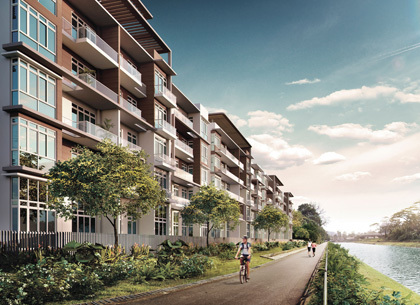 An oasis surrounded by flowing water and lush greenery, this is Parc Rosewood; an exclusive condominium development inspired by the idyllic tranquillity of a country resort. Nestled in a serene, private residential enclave of Woodlands, the sprawling development with 689 residential apartments is the perfect everyday getaway after a hard day’s work. Relax in utmost comfort from a selection of compact 1-bedroom apartments to luscious penthouses. 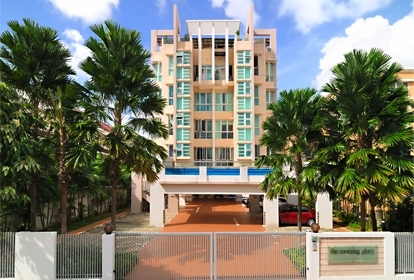 Parc Rosewood stands in a strategic locale along Rosewood Drive, in close proximity to the Woodlands MRT station, the Singapore Sports School, Singapore American Sports school and many other amenities at Woodlands Regional Hub. Enjoy excellent connectivity with the SLE right next to it and the BKE, KJE and TPE are only minutes away. Be poised to benefit from East Village, an exclusive freehold, mixed development located at the junction of Bedok Road and Upper Changi Road. 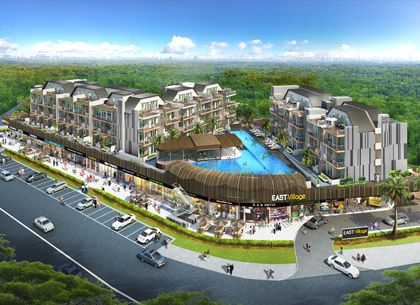 Conceptualised for a unique urban-village lifestyle, East Village is a rare opportunity for residential and commercial buyers to own a piece of real estate with great potential. 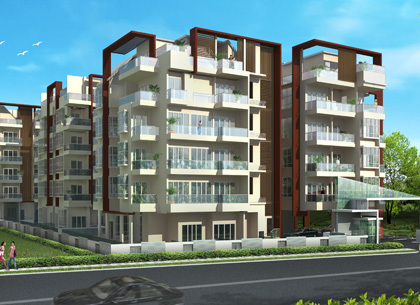 Comprising 108 commercial shops and 90 apartment units, it is an investment not to be missed. With a range of retail space of up to 7,000 square feet for supermarket operation, there is no better time for aspiring entrepreneurs to bring their dreams to fruition. Tap on a ready pool of residents and the potential of attracting a bustling crowd from the neighbouring precincts. Five minutes from Lorong Chuan Circle Line MRT, along Cardiff Grove stands a haven so exclusive, only 163 homeowners get to experience its peaceful charm. Retreat to your private sanctuary at Cardiff Residence where luscious amenities await your enjoyment. Then step out to a myriad of conveniences – reputable schools, shopping malls, and food and beverage choices – just minutes away at Nex Megamall and Bishan Junction 8. 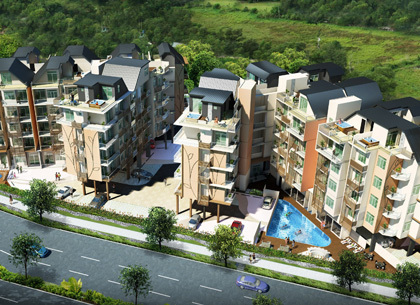 The vantage location of your condominium means going places is hassle-free. The development is connected to CTE, PIE and TPE and the nearby Lorong Chuan MRT lets you hop on the circle line trains; while access to the North-East bound trains is quick at Serangoon MRT station. Cavan Suites is the epitome of luxury, a new level of class and elegance. 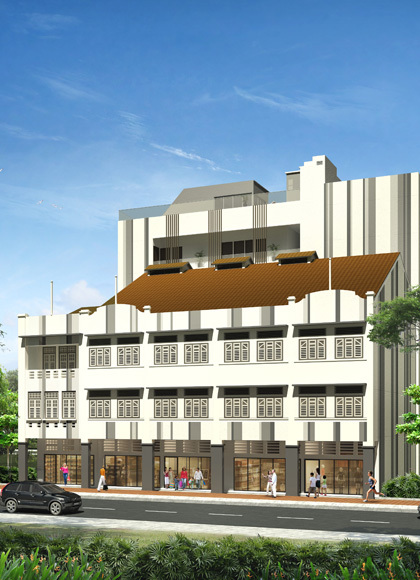 Presenting a palette of heritage and modern sophistication, this unique freehold development comprises a 3-storey conserved shophouses and a new 6-storey edifice. Its strategic location on the fringe of the city centre along Cavan Road makes it a charming place to call home; with plenty to see and do. Available in a selection of avant-garde studios and one-bedroom suites, as well as contemporary commercial units, Cavan Suites encapsulates the perfect harmony of old and new. A myriad of cultures and a perfect blend of interesting sights, sounds and experiences surround Onan Suites, a 29-unit freehold development sitting along Onan Road. Welcome to the diverse East where the unique harmony of tradition and modernity never ceases to fascinate. Savour the sophisticated luxury that this urban lifestyle has to offer; yet be taken in by the rich, ornate Peranakan culture that is preserved in the Katong/Joo Chiat area. Wake up to a new experience everyday at Onan Suites. Soho Life at Joo Chiat Road presents an exciting, versatile lifestyle that takes you from business to leisure, all at one address. A freehold development comprising 18 commercial shops and 70 office units, this is the perfect venue for savvy entrepreneurs. Discover the advantage of space flexibility and work efficiency of home office boutiques. With some creativity, turn your urban sanctuary into an office by day and a cosy abode for rest by night. Make the most of your time; switch seamlessly from work to relaxation without having to beat the rush hour. At Soho Life, mixing business with pleasure is a way of life. The trappings of fine luxuries flow languidly into the lush greenery amidst the serene setting of a private enclave. Palmera East is replete with nature’s most inviting, an exquisite lifestyle that many will envy but only few have the privilege to experience. 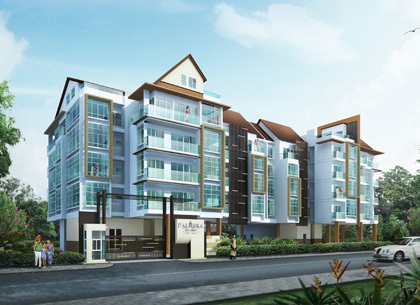 Located along Lorong Melayu, this freehold development is well connected to the PIE and ECP and within proximity of Kembangan MRT station. A stone’s throw away at Eunos, Siglap and Parkway Parade, there is no lack of conveniences which include dining indulgence, retail therapies and educational institutions. A world of refined luxury and elegance awaits at Espira Suites. Contrasting the quaint and laidback pace of its surrounding at Telok Kurau, this exclusive 46-unit freehold condominium shines with modernity and sophisticated luxury. 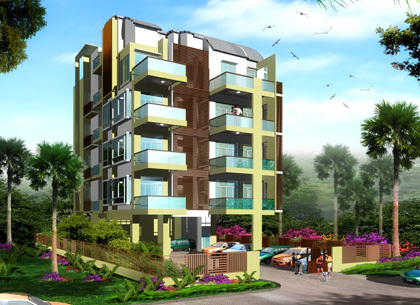 Lead a fulfilling life with extravagant indulgence in a serene haven that is yours to enjoy. The best of life can be had at Espira Suites. A stroll down the prime district of East Coast Road and Telok Kurau Road will take you down memory lane. Discover Singapore’s treasure of heritage in the East, where the past meets the present. 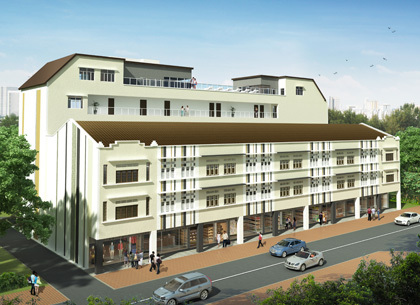 Amidst the rustic charm of the colonial shophouses nestles Heritage East, a freehold development comprising a unique mix of conserved units and contemporary housing. Enjoy a lifestyle of urban chic while the quaint neighbourhood tantalise your pampered taste buds with endless gastronomic indulgence. Come inherit your heritage and leave an invaluable legacy for your future generations. Overstated elegance, understated luxury; this is the hallmark of Dunearn Suites, a 5-storey freehold residence along Dunearn Road. Luxuriate in a distinguished lifestyle of fine indulgences, sophisticated design and superior finishes. 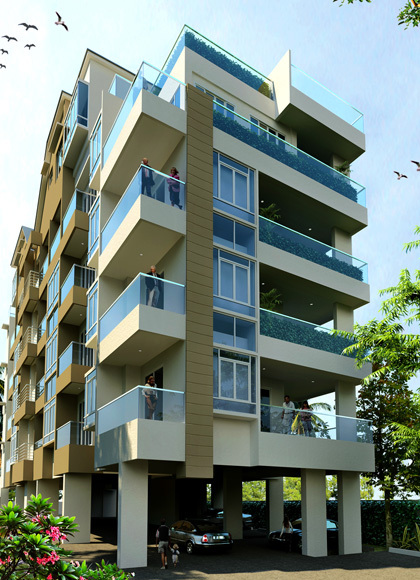 With only 26 exclusive units, the privilege is reserved for a select few. Dunearn Suites is in a class of its own and so are you. 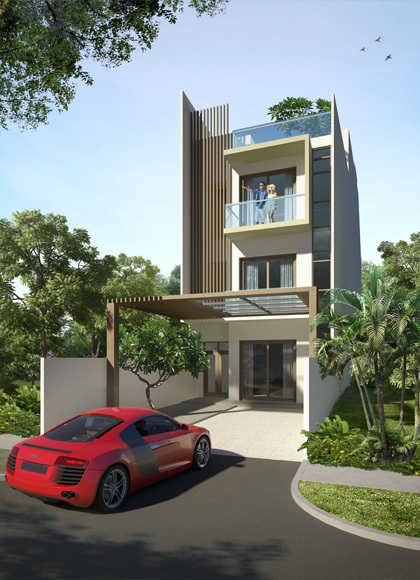 The perfect family home those who appreciate the laidback ambience of Telok Kurau, Palm Vista is situated at 47 Lorong G, Telok Kurau. Surround by a slew of basic conveniences including schools, eateries and markets at Changi and Eunos, Palm Vista is also close to major expressways including the ECP and PIE. The coveted East, a favourite enclave among the well-heeled; this is where Tembeling Residence nestles. 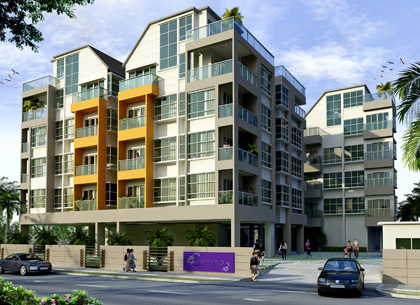 Along Tembeling Road in the urban nucleus of Katong, life is vibrant, diverse, convenient and exhilarating. 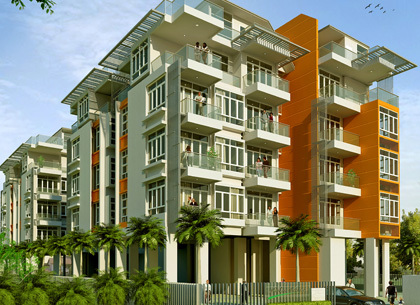 An exquisite condominium invites you to lose yourself in a life of abundance. Marvel at the melting pot of traditional, fusion and modern cuisine choices; and the charming retail shops that add flavours to your neighbourhood. Move in to your dream nirvana, where 19 bespoke residences are available in 2- and 3-bedroom and penthouse units for your selection. Your dream for a perfect, modern living space is here at Glasgow Residence. Located at Glasgow Road, in a well-equipped neighbourhood; you are positioned for success. 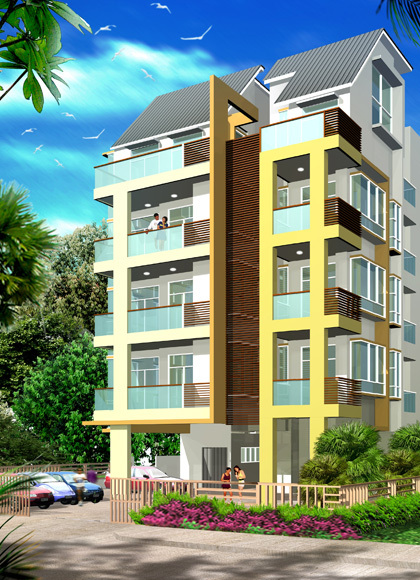 Live in comfort and have your every need taken care of by a circle of conveniences. Luxuriate in state-of-the-art amenities designed to pamper your body, mind and soul. With a coveted 999-year lease on 31 elegant apartments, you will want to tap on the potential of Glasgow Residence. 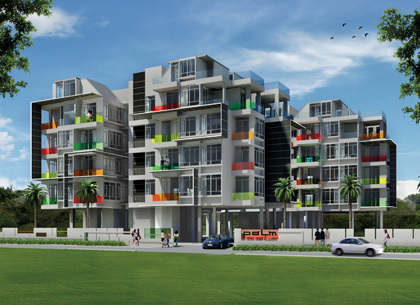 Palm Galleria is freehold condominium comprising 40 apartment units. 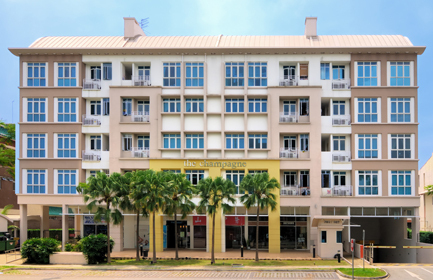 Nestled along Telok Kurau, it is in the proximity of basic conveniences including schools, shopping malls and dining venues at Katong, Joo Chiat and Marine Parade. 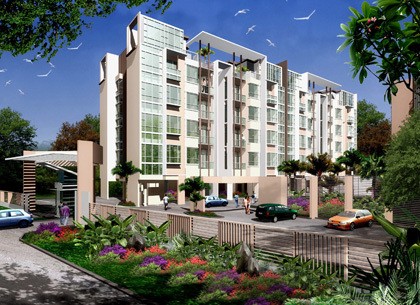 An inviting escapade from the daily stress, Palmera Residence is your sanctuary of serenity. Where sophisticated comforts and soothing relaxations bring on a sense of peace and calm. Welcome home to your private paradise that lets you feel on top of the world. 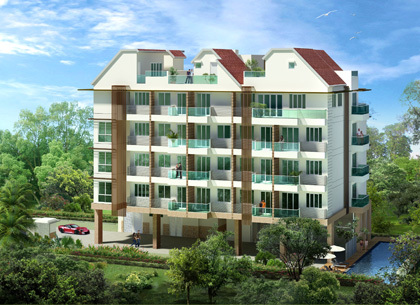 Palmera Residence is freehold and comprises 38 exclusive apartment units. 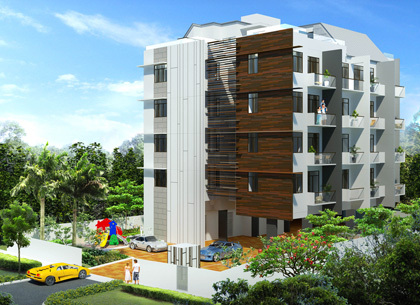 An enriching experience awaits at Vogx, an elegant 29-unit freehold development with full condominium facilities. Discover an explosion of colours for your senses as you explore the neighbourhood. Feast in the smell, sights and sounds that are brimming in this exciting enclave. 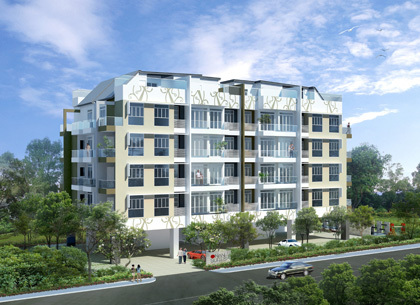 Blu coral lies close to the heritage-rich enclave of Katong, along Telok Kurau. A freehold condominium with 79 spacious condominium units, Blu Coral presents an enviable lifestyle with a complete suite of amenities. 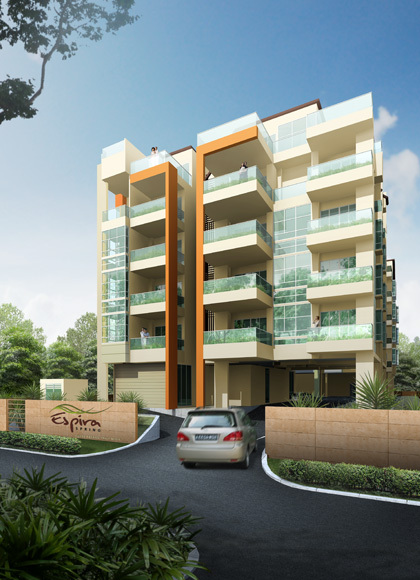 An oasis of luxury, experience a refined lifestyle at Espira Residence. 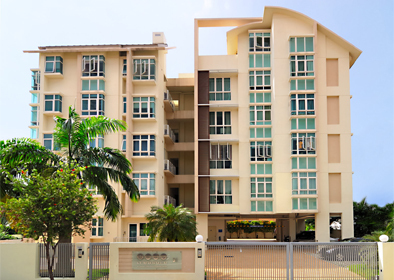 Located at 80 Lorong K, Telok Kurau, Espira Residence is an premium 16-unit development with a freehold tenure. 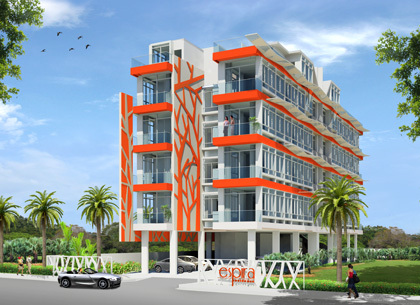 Luxury flows in abundance at Espira Spring, a 30-apartment unit development located at Telok Kurau. With a freehold tenure, it is an investment with great potential. 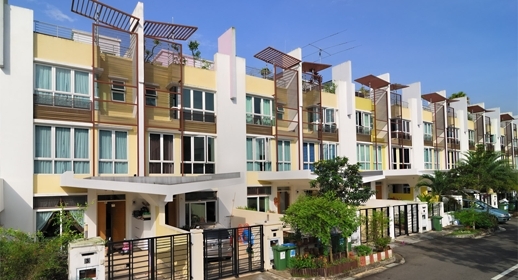 Enjoy the fine life with a comprehensive suite of amenities and venture to the nearby areas of Joo Chiat, Katong and East Coast for plenty of leisure and dining choices. 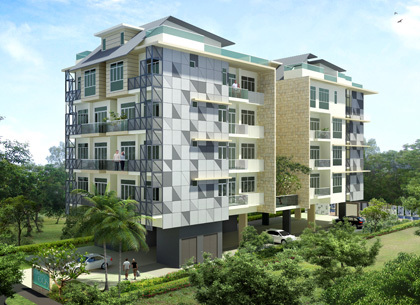 Set amidst the charming precinct of Telok Kurau, The Espira beckons you to uncover the finer things in life. Celebrate your success with a signature home in a freehold development where all you need is close within your reach. Get connected with family and friends at the exclusive condo amenities and connect to life with a circle of lifestyle convenience around your neighbourhood. From balmy cool breeze at East Coast Park to the colourful Peranakan delights and fusion cuisines, Palm Oasis is encircled by a myriad of facilities that completes your condo lifestyle. 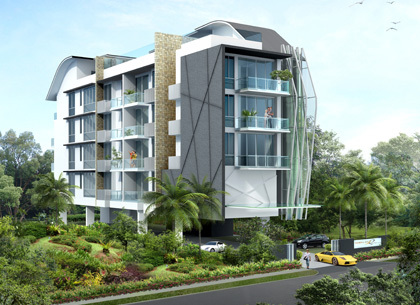 Wake up to rejuvenating amenities and lush greenery at Palm Oasis, a freehold condominium comprising 56 apartment units. Let the good times begin. Discover tranquillity and secluded privacy at Palm Loft, a premier 16-apartment freehold development sited at 136 Joo Chiat Terrace. After a hectic day, there is nothing more inviting than a peace retreat called home. 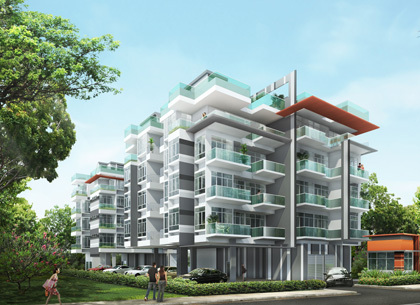 Carlyx Green is a freehold condo development located at 41 Carlisle Road near Little India. 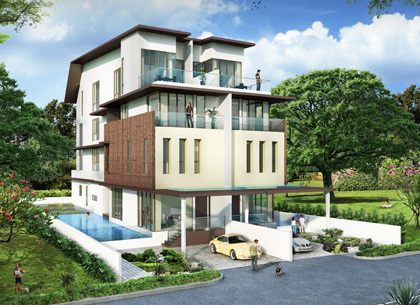 Comprising 12 luxurious apartments, it is in the proximity of many educational institutions including St Joseph Institutional International, Anglo-Chinese School (Junior), St Margaret’s Primary School; shopping malls and eateries at Serangoon. Enjoy excellent connectivity as the condo is accessible via three MRT stations – Farrer Park, Novena and Little India MRT stations. A choice lifestyle that lavish you with the fine things in life, Carlyx Residence is a 12-unit freehold apartment located at 39 Carlisle Road. Retreat to your private enclave to recharge and refresh. Then step out to a host of retail therapies at Goldhill Shopping Centre and Velocity@Novena Square. 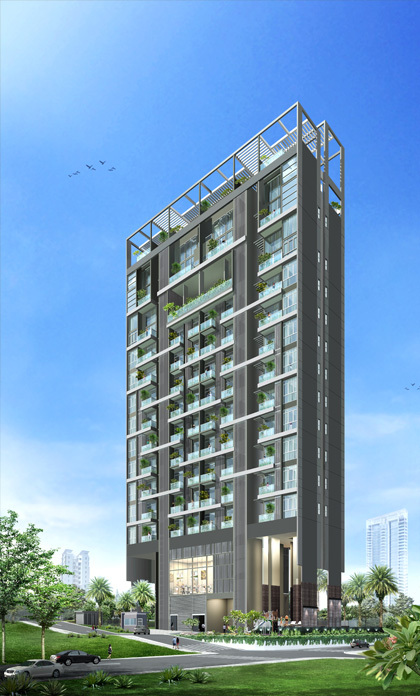 Rub shoulders with the well-heeled at Coastarina, sited in the prime district of East Coast. Standing elegantly at 510 East Coast Road, the clean lines of the 6-storey architecture spell a lifestyle of contemporary chic. Step in and be dazzled by a peaceful oasis of lush greenery and sophisticated luxury. Step out to a contrasting vibrant world, where you are overwhelmed with plenty of dining choices. 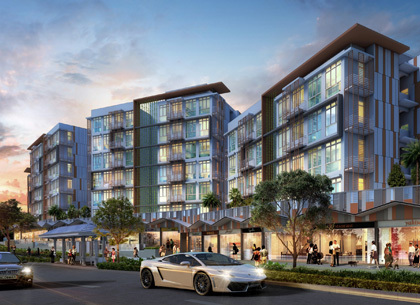 Nestled along Changi Road, the Champagne is a freehold commercial development with 46 apartment units. It is minutes from Kembangan MRT station and close to many convenient amenities including eateries, supermarkets and shopping complexes. An savvy investment and an invaluable legacy for the future generations, East Treasure is a freehold condominium with 16 apartment units. 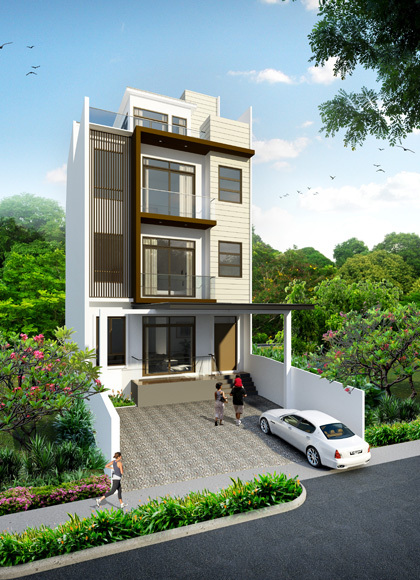 It is located at Telok Kurau; within the proximity of Kembangan MRT station and a slew of conveniences at Parkway Parade, Siglap and East Coast. A beautiful lifestyle is yours for the picking at The Morning Glory, a freehold development comprising 18 exclusive apartment units. 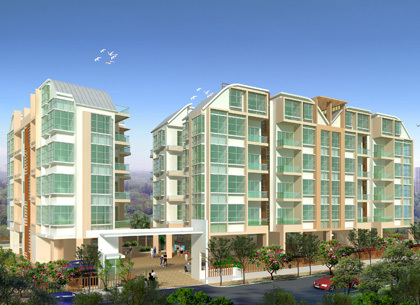 Glowing vibrantly along Sirat Road, The Morning Glory welcomes you home to an sanctuary of luscious rejuvenation. Wake up to a breath of fresh air at The Morning Dew, where life glows with chic luxury. 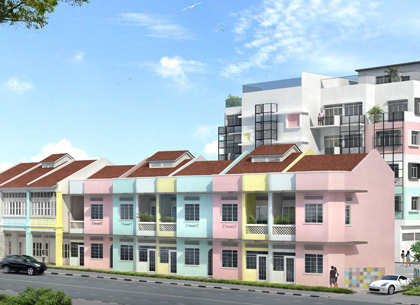 Nestled at Jalan Tari Payong, the freehold, terraced-housing development comprises 20 exquisite semi-detached homes.